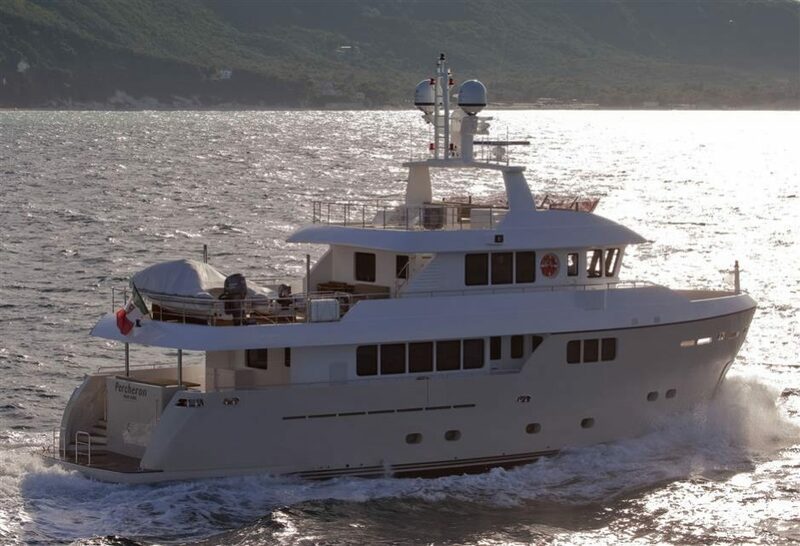 Darwin Class 86’ is a three deck full displacement Explorer vessel in steel and aluminum, 26,1 mt in length-overall and 7,43 mt in beam for a gross tonnage of 206, although she can be registered under the 200 GrT. 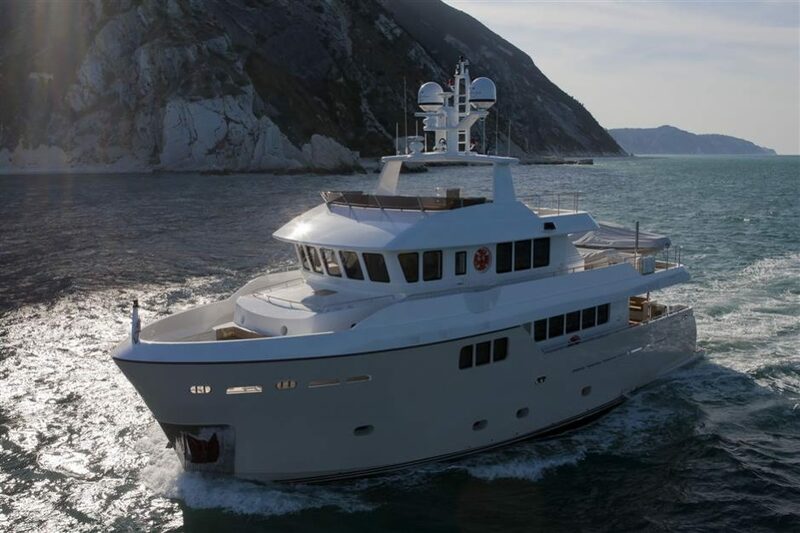 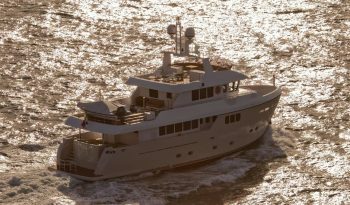 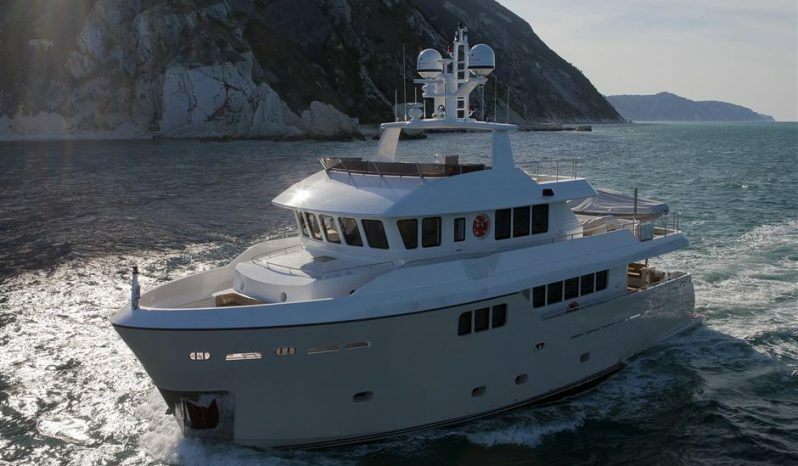 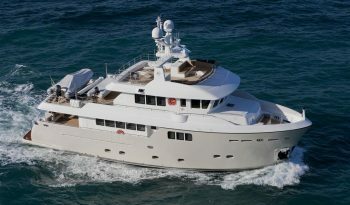 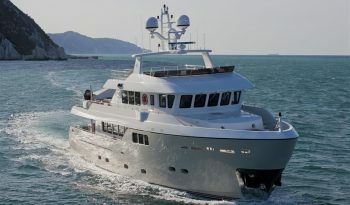 The Darwin Class is an icon in the Explorer Yacht’s world. 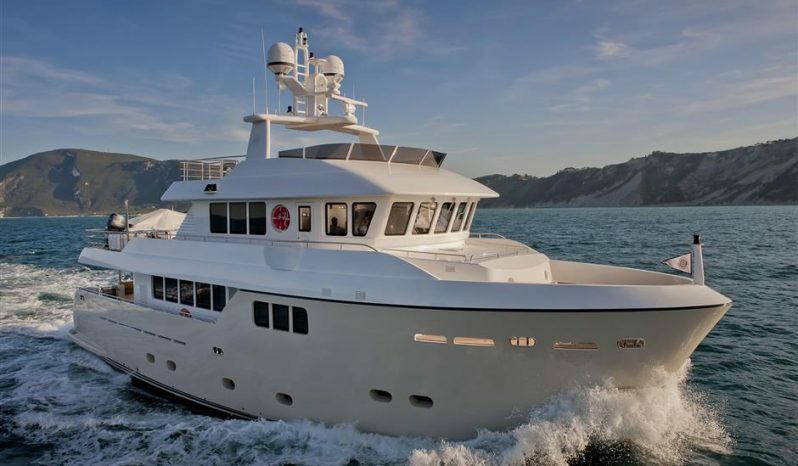 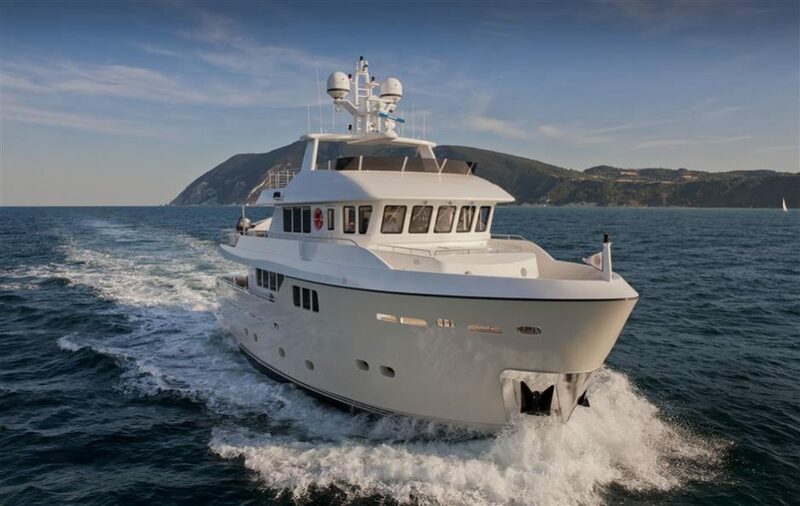 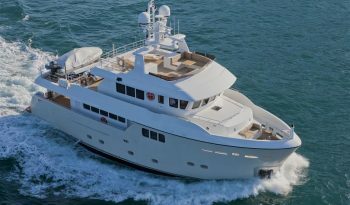 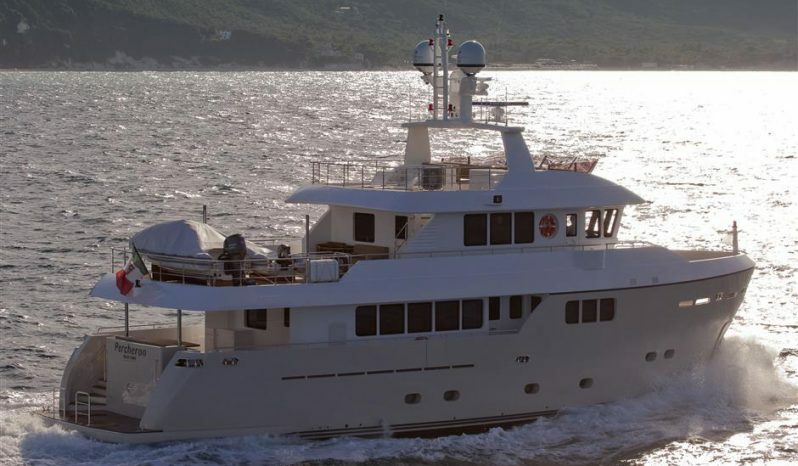 She has been featured in all the best magazines worldwide, she has been taken as a key reference point by dozens of yacht owners, and she has still unbeaten records of cruising for vessels of this size. 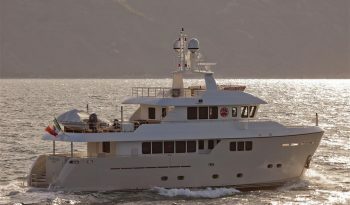 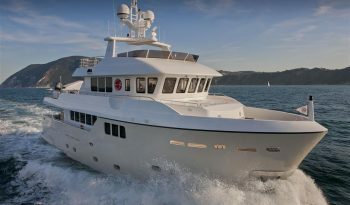 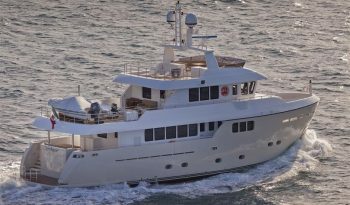 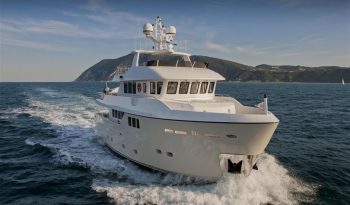 She is the cruising evidence of how true to reality is CdM’s reputation for sturdy, reliable, seaworthy and low fuel consuming vessels. 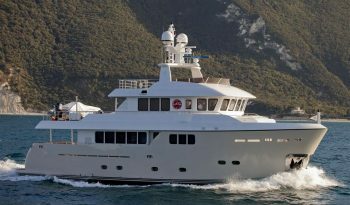 In fact, she has already completed three hassle-free Atlantic crossings (the last one no-stop from Bermuda to Gibraltar). 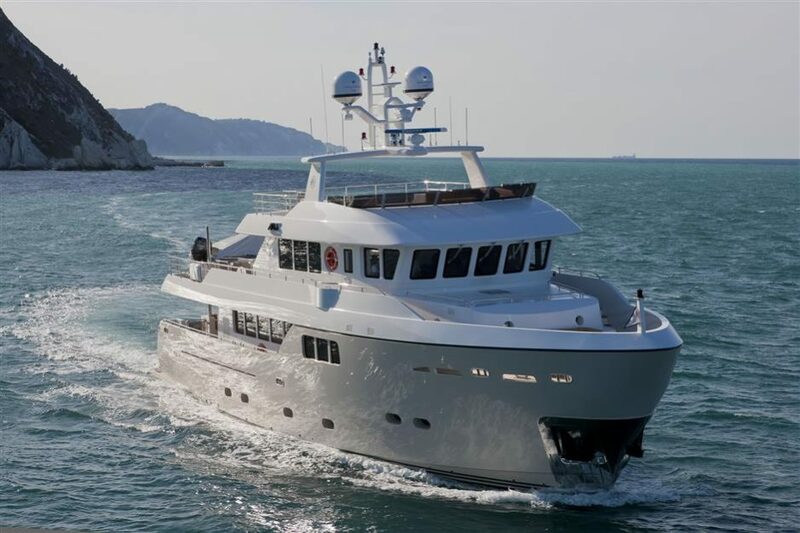 She features four staterooms on lower deck, including a spacious and comfortable Master cabin right in the most stable area of the vessel and two wide salons. 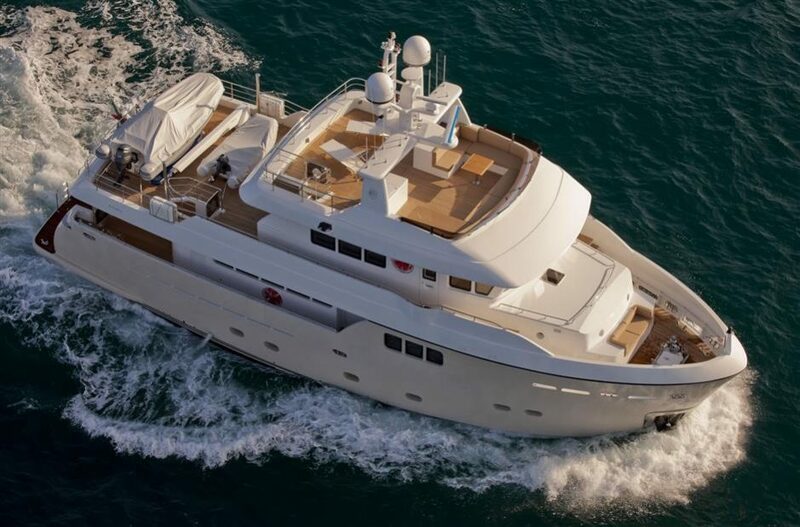 All guests spaces have a minimum floor-to-ceiling height of 2,10 mt. 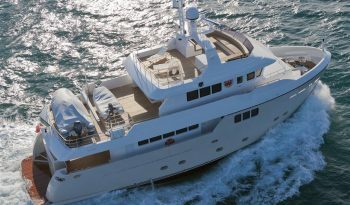 The exterior areas allow for different uses spread all over three decks: dining, sunbathing, bar, fitness or simply chilling, all find their own suitable and well dimensioned spot on this vessel. 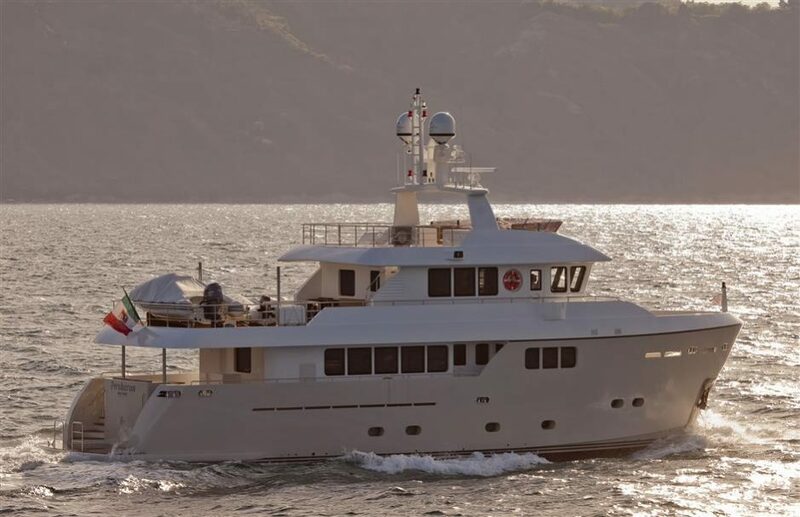 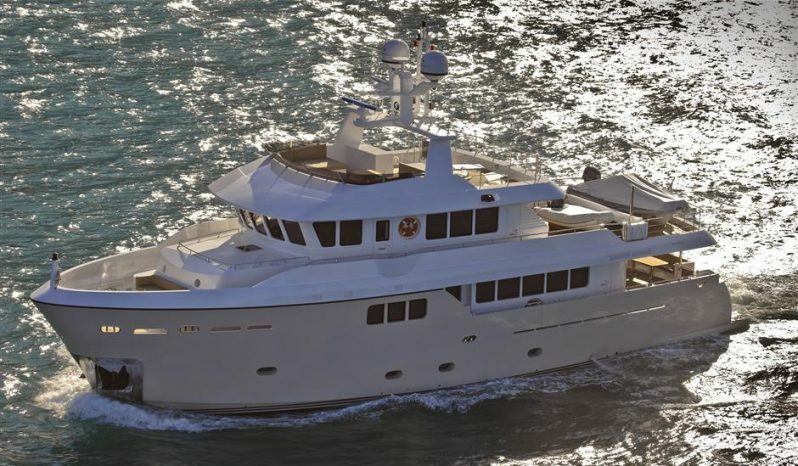 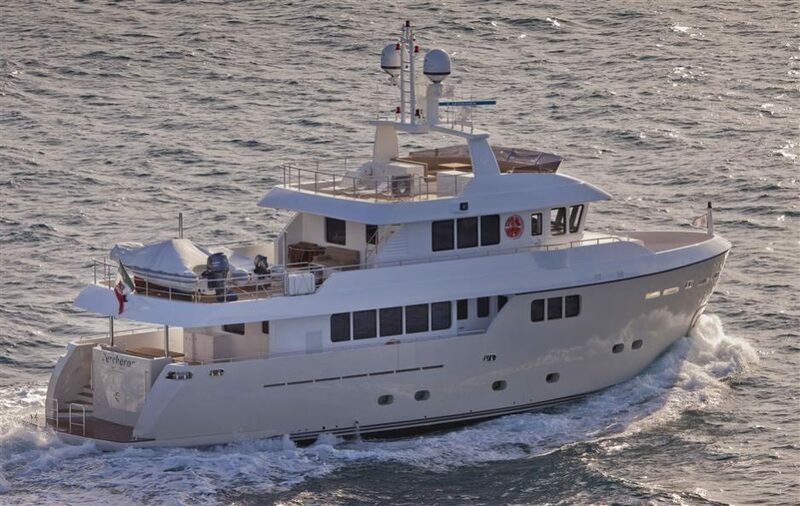 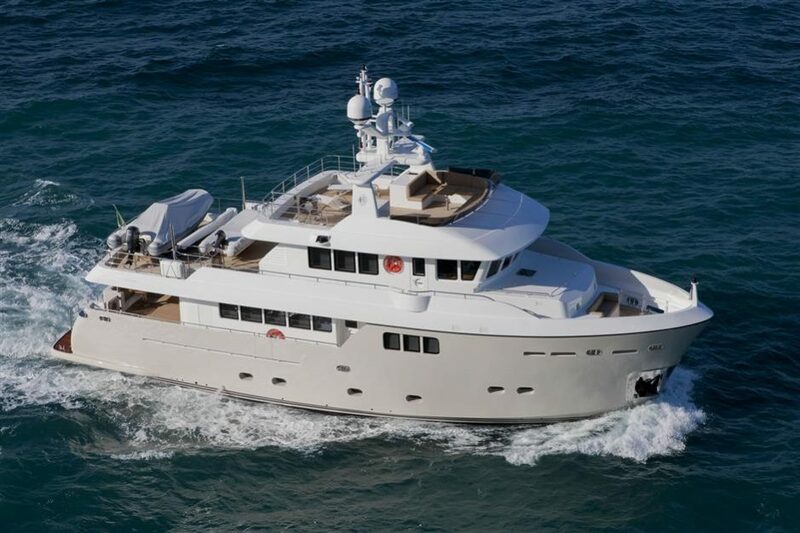 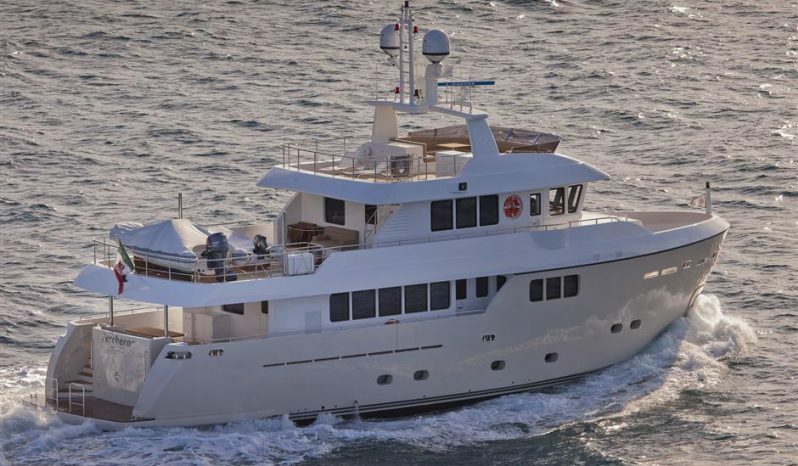 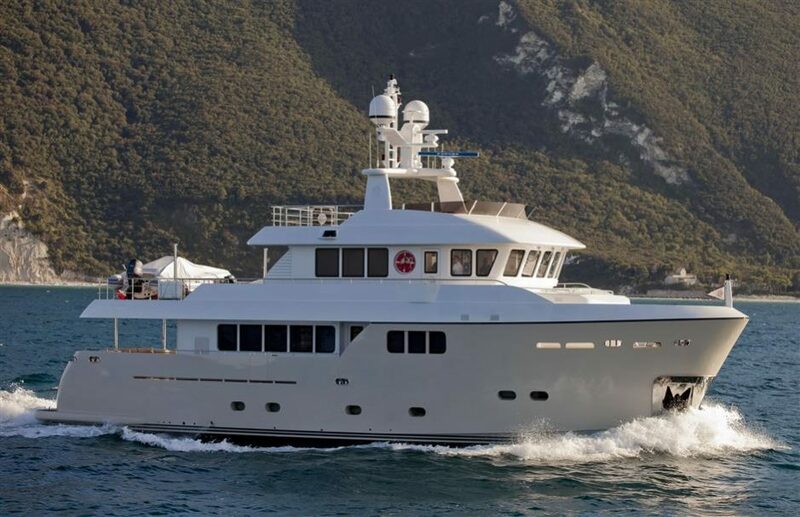 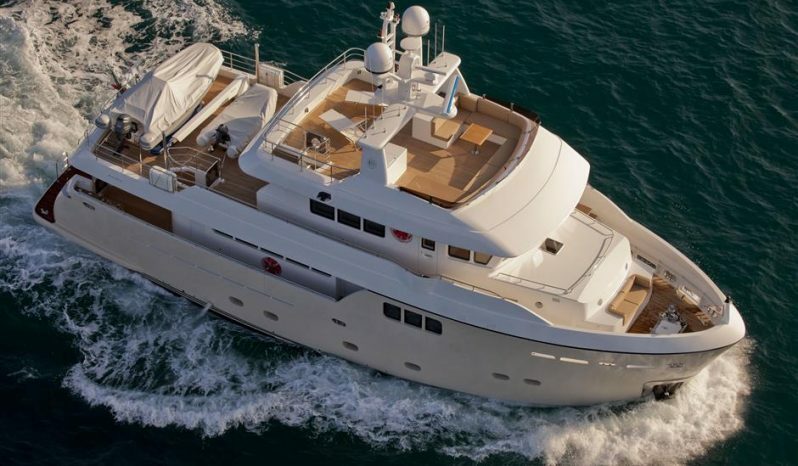 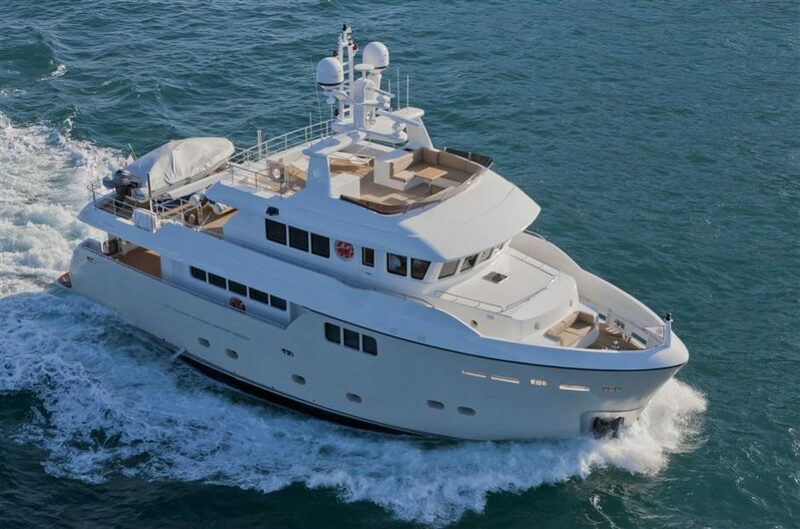 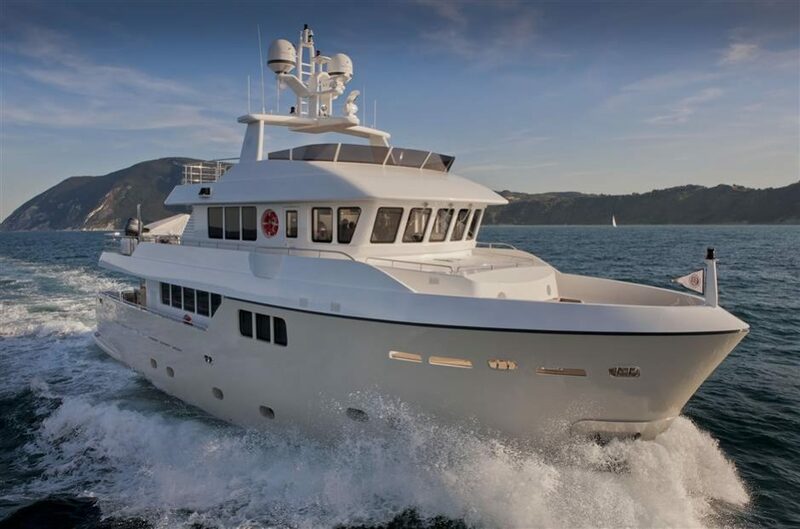 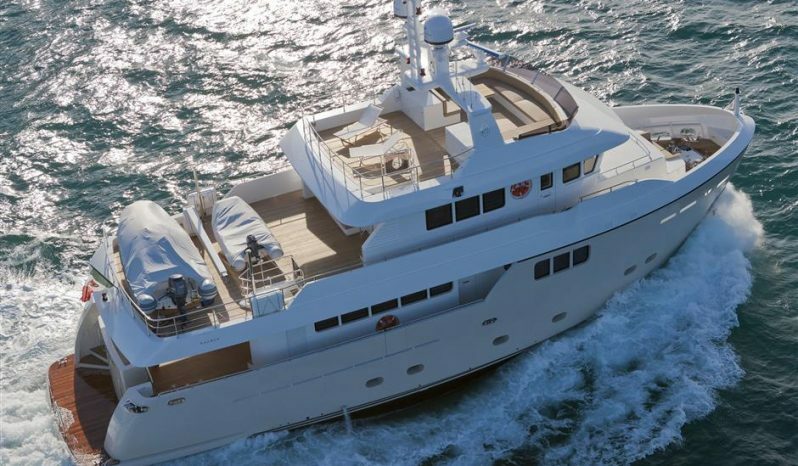 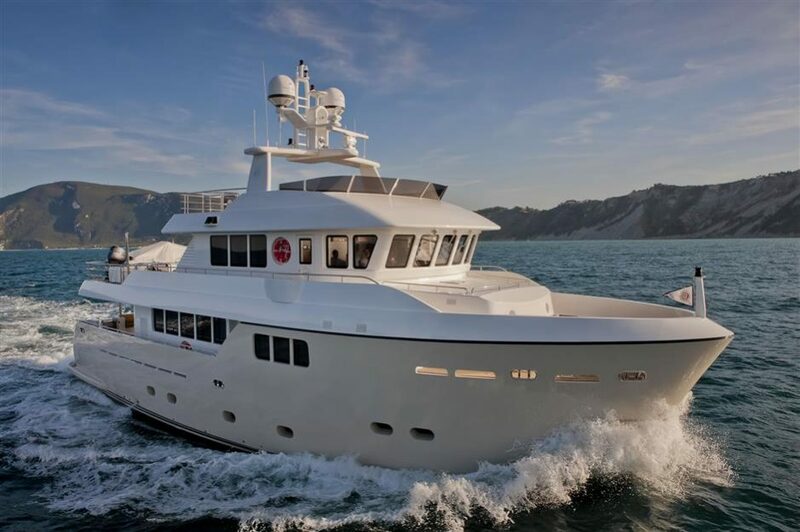 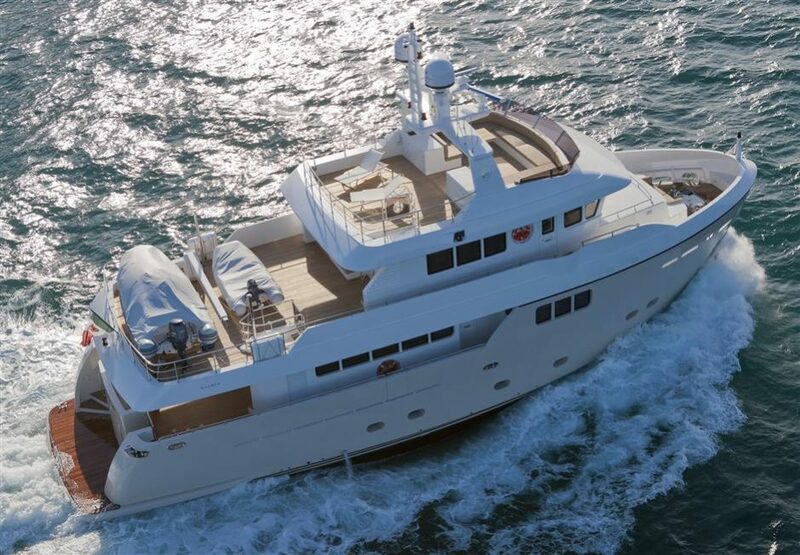 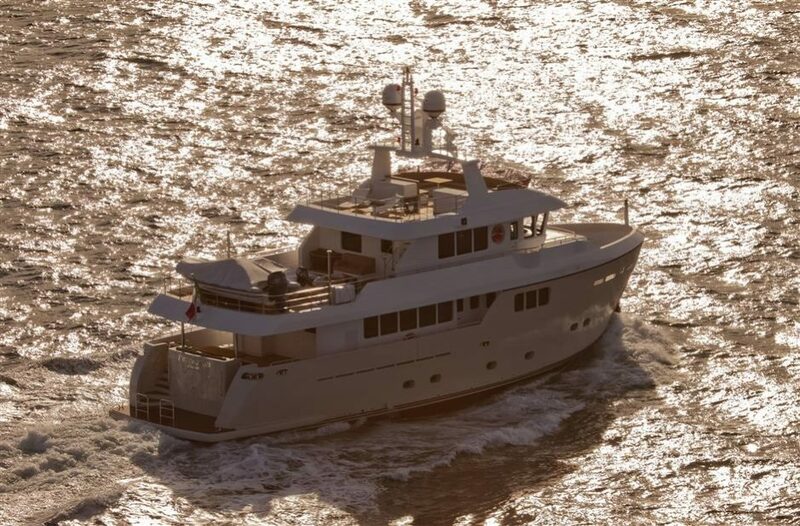 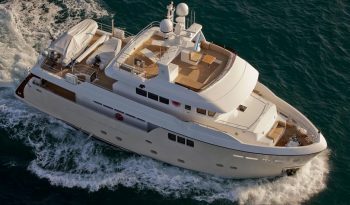 Photos of M/Y Percheron are featured in this listing. Each CdM yacht is custom built to order and will be completely customized at the request of the individual client: whether it is the custom color of the hull & superstructure, layout of the sundeck, interior decor, or the general arrangement floor plan — every detail is customized.